The Hollywood elite have already proven with the production of HBO’s Game Change their willingness to distort reality to promote a biased, left-wing agenda. Despite multiple attempts by the Governor’s top aides to share on-the-record insight from the 2008 campaign with the writers of Game Change, HBO chose to advance its own fictional, sensationalized fabrication instead. And last night, Hollywood spent an evening in smug self-congratulation for displaying courage and bravery in making the film—as if the slanderous portrayal was anything more than propaganda for Barack Obama and the Democrat Party. Hollywood is clearly out of touch with everyday Americans, and they will stop at nothing to re-elect Barack Obama and undermine our conservative values. We recently learned of Hollywood’s plans to further its liberal indoctrination of America by creating an Obamacare reality show and writing pro-Obamacare messages into prominent television shows. Some of this will even take place at taxpayer expense—the state of California has hired a prominent public relations firm to ensure that residents buy into the flawed Obamacare legislation. With priorities like that, it’s no wonder California is spending itself into bankruptcy. Do not let Hollywood liberals bankrupt America. Help us fight back with a generous contribution to our conservative cause of $25, $50, $100, $250 or more today! You can also help by simply speaking out against those who attack our commonsense conservative values. 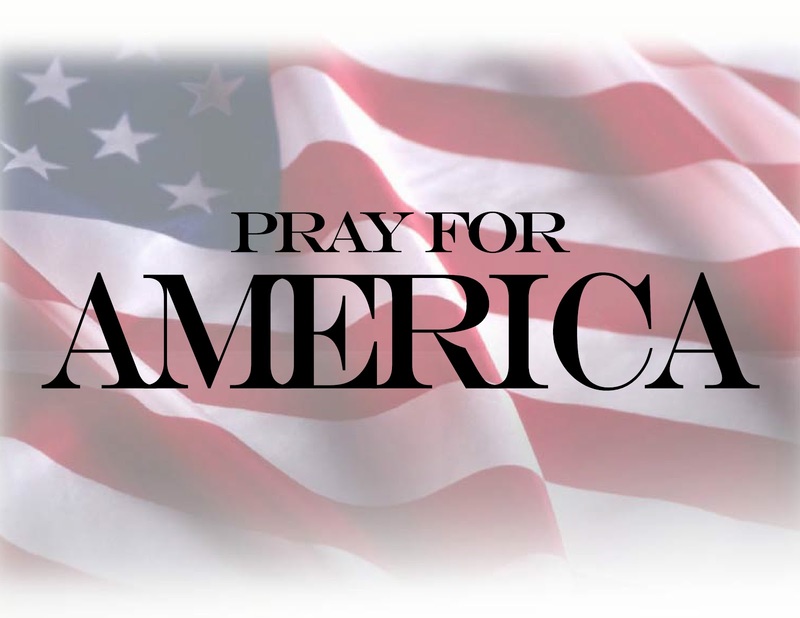 Let them know that we will not stand idly by while they try to brainwash the American people during one of the most important elections of our lifetime. 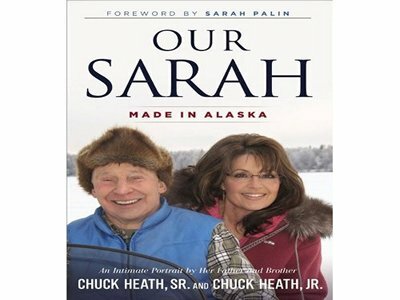 UPDATE: 1st Interview with the Heaths About ‘Our Sarah – Made in Alaska’? Apparently, Hannity has decided to postpone his interview with Chuck Sr. and Jr. until later in the week, due to unfolding events in the Middle East. Join me tonight for what just might be the first interview with the Heaths on their new book! We taped the interview last Saturday and I agreed to honor the publisher’s embargo until 10pm ET tonight. Gov. Palin: Hope you’ll tune in to DWTS tonight and vote for Bristol and Mark! Bristol goes from joining Willow, Todd and buddies looking to fill the freezer a few weeks ago in the wilds of Alaska to the wilds of LA on the dance floor tonight! I know how many worries we all have about the challenges facing us today, but in the midst of it all I’m really looking forward to taking time to just be a proud mom and cheer on Bristol as she does her thing on “Dancing With the Stars” tonight! It’s good to take a break from the heavy stuff and recharge your batteries with something like this uplifting, energetic, and positive competition. If you tune in tonight (at 8/7c on ABC), I hope you’ll vote for Bristol & Mark (online at the DWTS website, by calling 800-868-3409, and for AT&T subscribers by texting the word VOTE to 3409), and I sincerely hope you have an enjoyable evening. Paparazzi were waiting as the DWTS contestants arrived for Sunday rehearsals yesterday. Bristol is at 1:34 minutes. The Team Bristol page can be found here. The Emmys have gone, oh so predictably, to the leftist crew who created the Palin hit piece “Game Change”. Julianne Moore ungraciously gets a dig in at Palin and says she is now “validated” but the only thing “validated’ is the proof of the leftist hatchet job on Palin. As if the kudos from leftist Hollywood is a validation of anything except their agenda. Although the left is awarding and rewarding itself, the last laugh is surely on them. The production was clearly designed to hit Palin during her 2012 presidential run. That that did not happen must have created groans of disappointment, and hopefully, big losses for the production company. Should Palin decide to run four years from now, the actual events, and the fictional events created by Hollywood will be a long forgotten, irrelevant memory. Palin will have the last laugh as the media, including McGinniss et al and their enablers amongst the Dems and Hollywood, will have shot their respective bolts with no “scandals” to dredge up about Palin. Some great articles about the (fiction) movie ‘Game Change’. “I briefly served as a volunteer speechwriter on the McCain-Palin campaign in 2008. I was never part of the inner circle, and even if I had “dirt” to dish, I wouldn’t dare violate the confidentiality agreement I signed – even though that hasn’t stopped some former McCain campaign aides from publicly blaming Gov. Sarah Palin for everything that went wrong. “Well, now we know who one of those bomb-throwing cowards is, Steve Schmidt, who HBO portrays as the calm, cool, reasonable hero of the film. “Despite the premise of “Game Change” – that Sarah Palin cost John McCain the 2008 presidential election – Gallup polls prove HBO’s assertion categorically false. Palin wasn’t the reason the Republicans lost the election. She’s the only reason they had a fighting chance up until the time McCain suspended his presidential campaign in late September. Some were intrigued as to how McCain’s decision would play out in the polls, but once he suspended his campaign in late September he never recaptured the lead he enjoyed with the breaking news of recruiting Palin. Here are two earlier pieces setting out some of the background to this misbegotten enterprise. which is as hollow as the “awards” should be. Any recipient will be receiving a tainted award which will be seen as valueless except as a Goebbel’s type propaganda piece. Entertainment Tonight AT THIS LINK has a glowing puff piece up on the entire cast of the Palin hatchet job “Game Change’ with particular emphasis on Julianne Moore’s chances of an Emmy. I completely agree that her win is “assured,” as why would the leftist crew who produced this hatchet job miss another chance to stick the knife into the female Emmanuel Goldstein they and the media have created. Continuing on with their fantasy Palin, they now have Nicole Wallace as Palin’s “punching bag” which suits the make believe world of Hollywood. What we have never seen are the financial reports on this turkey of a production. How much did it cost to make and how much did it garner? If it had made a profit, no doubt the left would have shouted it from the rooftops. The only good thing about this Hollywood scare flick is that the groans from the financial backers that must have ensued when Palin announced she would not run in 2012 must have been enormous. They thought they would finish her campaign off with this fable whilst protecting Obama, but all that has happened is that the public have seen the relentless attacks for what they are whilst Palin continues to grow in popularity, as the poll AT THIS LINK shows. Whenever a subject comes along celebrated by the left wing, you can always count on one final rescue when it ultimately loses with the American people. The writers of Game Change and the accompanying surrogates in Hollywood who turned it into a film worked hard to keep their narrative on schedule. In the free market of art (that’s the nicer way to describe a work of fiction), many folks invested a lot of money and effort in trying to make this thing work. After the movie was hyped to the gills, it disappointed in ratings. As reported at Breitbart, a disappointing 2.1M viewers tuned in to watch. Contrast this overly-hyped propaganda piece with Sarah Palin’s Alaska which brought in 5M viewers in a single episode — or when Palin gave Oprah her largest viewing audience in two years when appearing on her show in 2009 — or when SNL was given its biggest ratings in more than a decade when the real Sarah Palin made an appearance. The result is apparent. While the real Sarah Palin is a massive hit with the American people, the poorly-portrayed and sold out version through the avenues of smear books and films seem to all share the same fate of utter-floppery. So I expected some type of politically correct recognition which falls in line with that of a room-monitor handing out prizes to all the kids just for participating. This was done this week when the Emmys announced that Game Change had earned 12 award nominations. Julianne Moore now stands to win an award previously earned by Tyra Banks. I don’t mean to knock soap opera actresses who grace the screens of daytime TV, but when multi-million dollar productions are forced to share space with the likes of day-timers like Maury Povich, it’s easy to see where the legacy of the subject is headed. In other words, the Emmys seem to create categories to fill its time. Television shows and TV-movies are a dime a dozen. As such, many varying categories and sub-categories are required to fill an award show and they are divided between daytime and prime time. Accordingly, it’s no shock that the Emmys were able to hand out 12 award nominations to the creators of Game Change. Based on its awful ratings, all that’s left is a little recognition from an auditorium filled with prime time sitcom experiments preceded by salacious talk show hosts and caddy soap opera queens. After all is said and done, the consequences of this fact-changing hit piece seem positioned to fall on the predators. Millions of dollars are down the drain, recognition from the American public is lacking, and the intended target is still going strong. With her competitive spirit and “I can do” attitude, Bristol Palin will be competing on ABC’s “Dancing With The Stars All-Star Edition” starting on Monday night, September 24th. Palin is again paired with professional dancer Mark Ballas to form “Team Ballin”. You may recall that Bristol and Mark placed third during the 2010 season of the show. The couples dance on Monday nights for a score from the judges. Then the fans vote for their favorite. The judges score counts 50% and the fans 50%. The key to the judges score is that they convert it to a percentage. They take all the scores from the judges and add them together. Then that number is divided into the score for the individual couple. That gives the 50% that counts as the judges scores. Same thing with the fan vote. All the votes are totaled and that number is divided into the couples fan vote. The lowest combined judges scores and fan scores send a couple home. The first is by phone. We will not know the phone number for Team Ballin until show time on 9/24. The number will remain the same throughout the competition. Phone lines open as soon as the show starts and stay open for 1 hour after the show. Fans should try to phone vote as soon as the show starts. After they dance and at end of the show are the hardest times to get through and we want every single vote. You can vote on as many phones as you have access to. For the first half of the season, voters will be allowed the same number votes as the contestants. For example, the first week there will be thirteen contestants, so each type of account gets 13 votes. The second week it will go down to 12. Once they are down to 5 contestants or less, the fans still get 5 votes per account. ATT users can text their votes by texting the word “vote” to the last four digits of the voting number. Once again you get the same number of votes as contestants. It is my understanding you can text votes and call votes from the same phone. The final way is online. Go to http://abc.go.com/shows/dancing-with-the-stars/. On show nights there will be a vote tab. You have to have an account to vote online. You should make your accounts before the show starts because when the show is going the site crawls. You can vote with as many accounts as you make. Dancing with the Stars is definitely a team effort. Bristol and Mark will do the dancing-the fans have to do the voting! Please be sure and support them with your votes on September 24! Bristol will be talking with Kevin Scholla of SarahNETRadio each week and by listening to his interview you will get the inside scoop directly from Bristol. Follow Bristol on Twitter here and on Facebook here.